V2480. 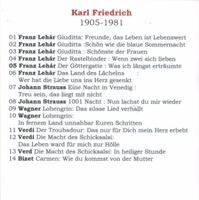 KARL FRIEDRICH: Arias & Duets (w. Hilde Güden, Judith Hellwig & Hans Herbert Fiedler) from Il Trovatore, Forza, Carmen, Lohengrin, Giuditta, Der Rastelbinder, Der Göttergatte. Das Land des Lächelns, Eine Nacht in Venedig & 1001 Nacht. (France) Malibran 116. 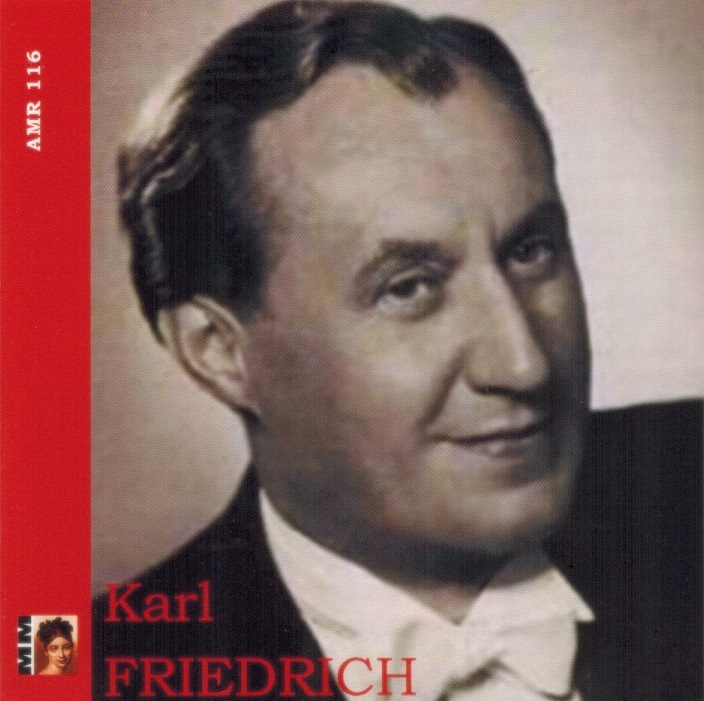 �Karl Friedrich was trained as a singer at the Vienna Music Academy, after which he sang in Stralsund, Magdeburg and D�sseldorf, eventually being engaged by the Vienna Staatsoper where music critic Ernst Descey spoke of his lovely messa di voce in the Air de la Fleur in CARMEN. Clemens H�slinger wrote of 'the light operetta-like coloration of his singing being strongly reminiscent of Richard Tauber�. 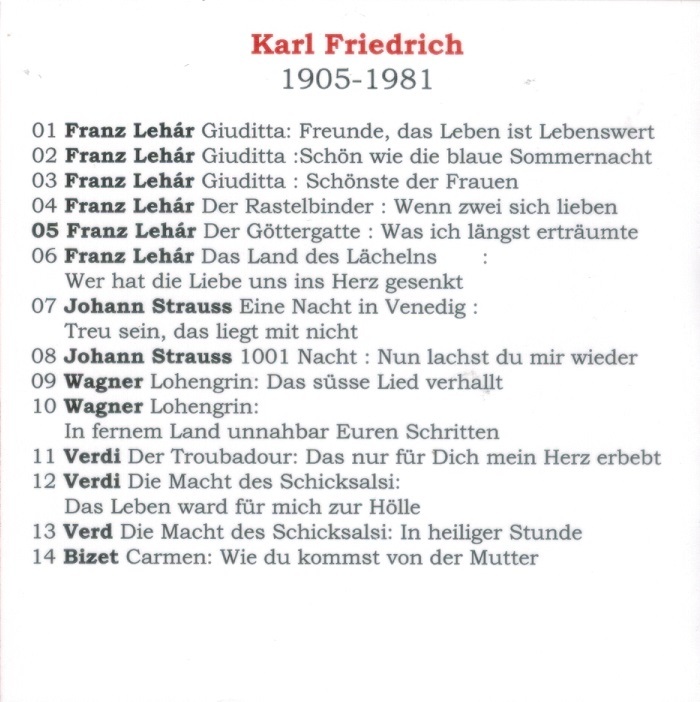 From 1937 to 1950 Friedrich, a popular lirico spinto of his day, was a regular guest at the Salzburg Festival and was one of the busiest singers of the Vienna Staatsoper ensemble where he sang the lyric-dramatic tenor repertoire.